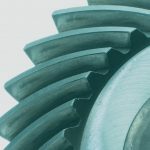 Take a quick course on the process and materials used in gear grinding and learn how they can impart important properties to your products. 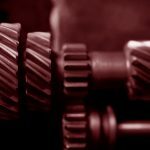 During the past year the gear industry has seen growth in hard machining, a trend which is expected to continue to progress, possibly passing the levels of 2000. 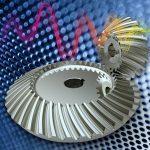 Gear grinding has extended the life cycle of many high-performance gears by assisting manufacturers in accurately predicting end of life cycles as well as predictive maintenance requirements. 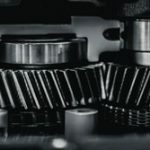 Automotive gears, motorcycle gears, and helicopter rotor drives are but a few of the systems that require precision gears to handle high load, reduce transmission noise, and minimize gear backlash. 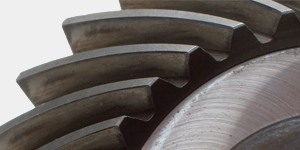 Typical initial manufacturing steps to process gears include hobbing, planing, and shaving. 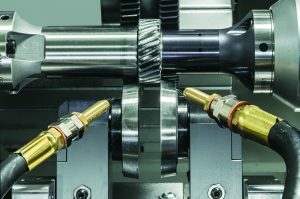 Following this rough machining, the gears are sent to heat-treat for hardening. 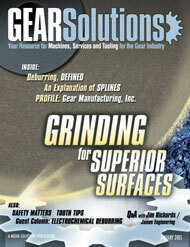 Grinding is then employed to correct distortion and profile in precision gears post heat-treat. 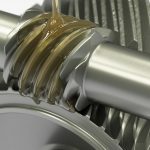 Gear honing can consist of both resin bond and vitrified bonded honing rings. 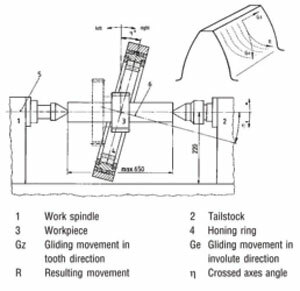 Honing rings are unique in their makeup as they allow the option to employ vitrified bonded aluminum oxide conglomerates mixed withaluminum oxide or silicon carbide in the resinoid matrix. This provides excellent stock removal, making the most of the dampening characteristics of the resin bond. 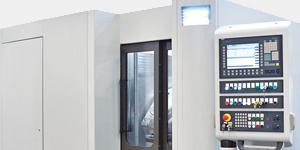 The grinding process provides a superior surface finish when compared to conventional machined surfaces. 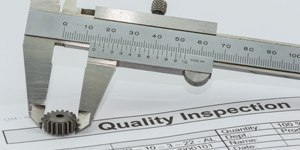 While initial inspection for surface finish, or Ra (average of the height of peaks and depth of valleys from the mean line), might meet the print requirements, additional inspection is also needed for work hardening or micro cracks at the subsurface processed. 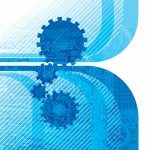 Better understanding and control of process parameters serves to eliminate micro cracks and poor surface finishes. 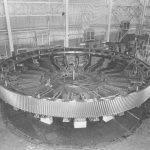 The two major world suppliers of CBN and diamond are Diamond Innovations– previously GE Superabrasives–and Element Six, formally known as the DeBeers Company. 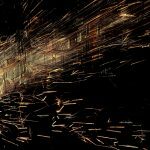 Washington Mills, Norton (Saint-Gobain), and European suppliers such as General Abrasive/ Treibacher are sources for conventional abrasives. 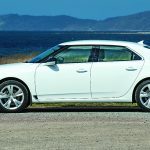 The 3M Company supplies ceramic grain under the trade name 321 CubitronTM, the Norton company markets their ceramic under the trade names of SGTM (seeded gel) and TargaTM. The third supplier of ceramic grain is Hermes Abrasives, which markets their ceramic grain under the trade name of Sapphire BlueTM. 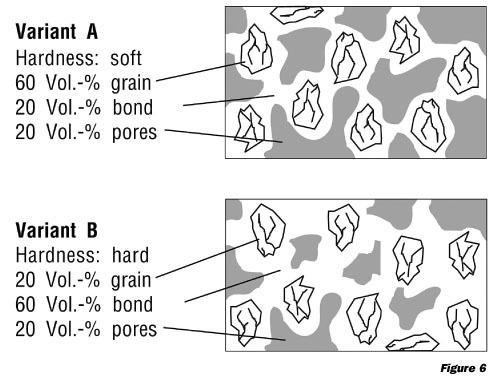 The three component diagram (Figure 5), which includes the volumetric percentages of grain, bond, and pores, can be used to show a wide range of formulation variations (Figure 6). 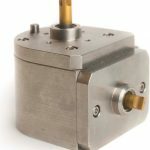 As an example, increased bond content is used to achieve form-retaining characteristics in parallel axis gear generating grinding. In this type of grinding the single grain force is high, in which the increased bond content (variant B) facilitates increased form retention. 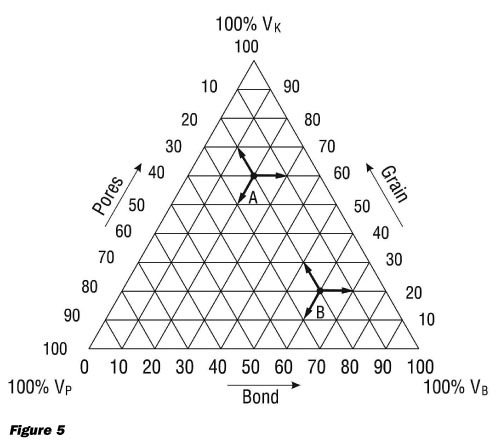 The increased bond content also requires higher force to break down the grain from the bond. To high a bond content with insufficient porosity creates an increase in heat during the grinding operation. Grain selection in any abrasive is important, because if the grain cannot penetrate the material wear is caused by thermal stress, resulting in a plowing of material. The desired result is mechanical stress, which fractures the grain particles, exposing new cutting edges (self-sharpening). Typically, the grain is pulled or sheared from the wheel face during grinding when it becomes dull. Conventional abrasive wheel grains can be regular, friable, modified friable, microcrystalline, and macrocrystalline. The cutting action of the grain is broken down into two basic grades; grains that are very tough, and grains that are friable. Tough grains such as ruby, with approximately 3 percent chromium oxide, are used for rough grinding and high material removal rates (MRR). Ruby is manufactured by fusing pure alumina and chromium oxide. Ruby is also known to be tougher than white aluminum oxide, and for its form holding and corner holding abilities. The friable grains provide a self-sharpening action by grain fracture, thus exposing new cutting edges. This self-sharpening of the abrasives is accomplished by the fracturing process of the grain. 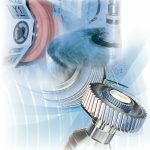 If the grain did not fracture, larger wear flats would develop, which would cause an increase in motor amperage from the electric spindle drive, most likely causing thermal damage to the work piece. White aluminum oxide is considered a cool cutting friable grain. When a small (.5 percent) amount of chromium oxide is added the grain becomes pink, and it is used for its form holding characteristics. Sulfur is added by some manufacturers to aid in lubricity. Other manufacturers use cobalt and titanium treatments to increase the durability of the grain. Ceramic grains bridge the gap between regular aluminum oxide and superabrasive CBN grains. Ceramic grain is a microcrystalline aluminum oxide (Al2O3) that, with sufficient grinding pressure, becomes dull and fractures along microcrystalline structure, exposing multiple new cutting edges. With material removal rates above standard Al2O3, but below the superabrasive grain, they are appropriate for specific operations. 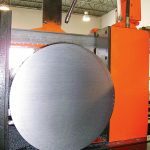 This type of grain is commonly mixed with standard abrasives to reduce costs and reduce grinding pressure in surface, profile, cylindrical, and creep-feed applications. 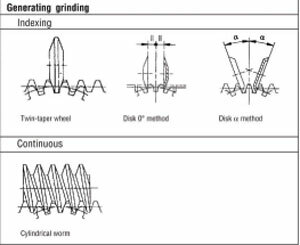 The use of ceramic grains in profile surface grinding offers significant improvement in wheel wear because the single grain forces are high and permit the fracture of the fine grain microstructure of the ceramic grains. 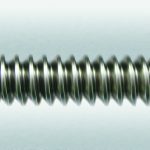 In many creep-feed applications the use of ceramic is typically 20 to 30 percent of the wheel content due to the lower single grain force. Increased ceramic content would not permit the grain to achieve the desired effect of self-sharpening (see Ref. 1 for more information). 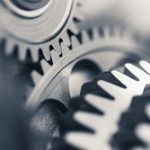 The bond is the glue that links all the components of the manufacturing process together. 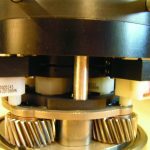 The bonding agents contain clay, glass frits of various sizes, and other proprietary elements that make up the grinding wheel. 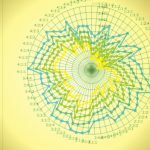 The green wheel is then formed and pressed to a predetermined density. The firing of the wheel permits the bond bridges to be formed as the elements flow from a solid to a liquid state. Most manufacturing problems occur in the cooling phase of firing cycle. The various temperatures used range from low temperature bonds and high temperature bonds, which vary according to wheel manufacturer, but typically range from 900 to 1200 C. These sintered or glassy bonds form the bond posts and can have multiple smaller contact areas between the grain in a less porous wheel to distribute the stress. They can also have large bond bridges in an induced porosity wheel to provide swarf and coolant cavities. 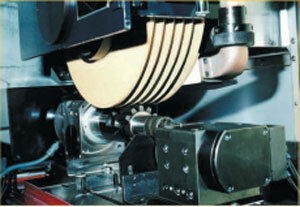 The important aspect is that bond bridges coat the grain and evenly distribute the stress during grinding. 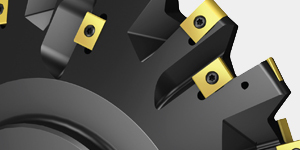 The majority of the mechanical aspects of the wheel are attributed to the bond and grain used. 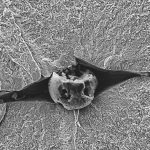 Earlier in this article ceramic was discussed, with its ability to micro fracture and expose new cutting edges. The requirement of the bond is to retain these grain particles with the increased unit pressure in order to permit ceramic grain to fracture with overall grain particle retention. 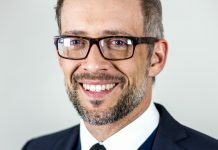 This factor for bond strength is the key today, as well as the future of gear grinding and the entire grinding industry. 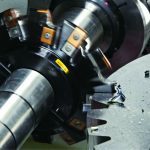 The desired effect of any grinding process is achieving dimensional accuracy, part geometry, and surface quality–all at an economical cost. 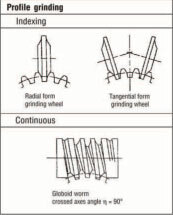 To optimize an existing process the engineer must evaluate existing operating characteristics, determine known wheel operating characteristics, and unique part grinding requirements to optimize grinding parameters. These building blocks are the necessary data collected for interpretation of the various phases of a design of experiments. 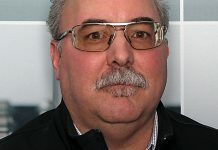 is a senior product engineer with Hermes Abrasives and has more than 25 years of experience in grinding machine tools and applications engineering. 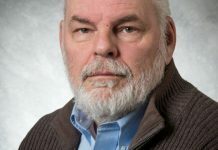 During his career he has held positions in management and worked in applications engineering for the aerospace, power generation, and medical-device industries. He can be reached by sending e-mail to cncgrind@earthlink.net. 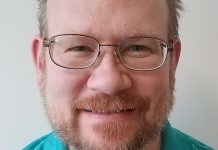 The author would like to thank United Grinding Technologies and Hermes Abrasives Ltd for the artwork used in this article.